Sonka Games has announced that they are bring their point-and-click game Earthworms to the Nintendo Switch. 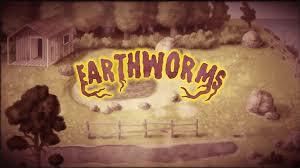 Earthworms will be available to pre-purchase on August 20th before it’s release on August 24th. You will be able to pick up the game for $7.99. If you would like to know more about the game, you can check out the overview below. We also have a trailer for the game as well. An abstract point and click featuring Daniel White, the detective. Feel the thrill of horror mixed with a dose of humor, beauty, ugliness, and weirdness in the surreal world of Earthworms – brought to Switch specially for you to delve into! Play as Daniel White, a private detective endowed with parapsychic abilities, and solve investigations with the help of his visions. Soon, what he thinks is a typical missing person case, will lead him to a global conspiracy. AND one handed: everything you need is found on a single Joy-Con! Explore and interact with 34 locations inspired by Edward Hopper’s work. Challenging logical puzzles as addition to classic inventory interactions. We fixed a lot of minor bugs and glitches present in the PC version of the game. Apart from that, interface and input were redesigned specifically for Nintendo Switch. We changed text size, fonts, UI placements and animations. As for the input, the “magnetize” feature was implemented, which greatly improved cursor handling on mouse-free platform by snapping the cursor to the nearest object. One handed mode is also new; all the input features are present on one Joy-Con, both for game’s accessibility and QOL.